Keyshape Pendrive. the latest model, with reliable quality and competitive prices. Support windows 98/98se/me/2000/XP/MAS OS/Linux, automatic OS. High speed, at least 10 years of data retention. We offer: custom color, logo printing, custom packaging, as well as develop and custom new products for customers. Welcome to contact us anytime. 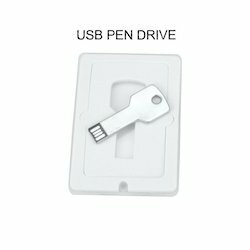 This is specially promotional Pen drive. - Key Shape USB Pen Drive with Compatible with Most OS. Comes in a Sturdy Plastic Case. - Supports Hi-Speed Plug and Play. No External Power Supply Needed. 4GB Key Shaped USB Flash Pen Drive Memory Stick. Customized engraving of any name, logo, companys name can be done .No Minimums. Compact & Customizable Credit Card Pen Drives. Available in 4, 8, 16, 32, 64 GB.